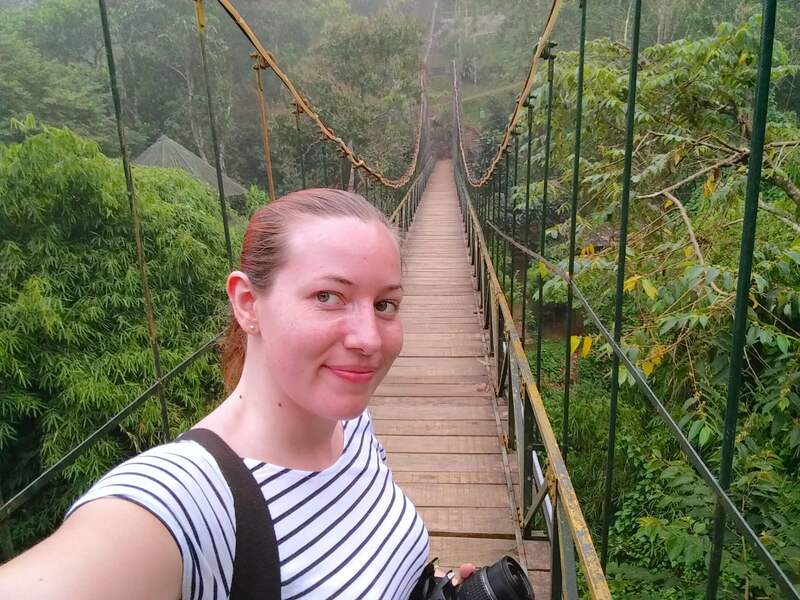 While Hanoi is a great place to visit, after a few days of the busy and chaotic streets myself and fellow travel blogger Janet from Journalist on the Run were ready for a few days of relaxation and we certainly got that while staying at Topas Ecolodge. 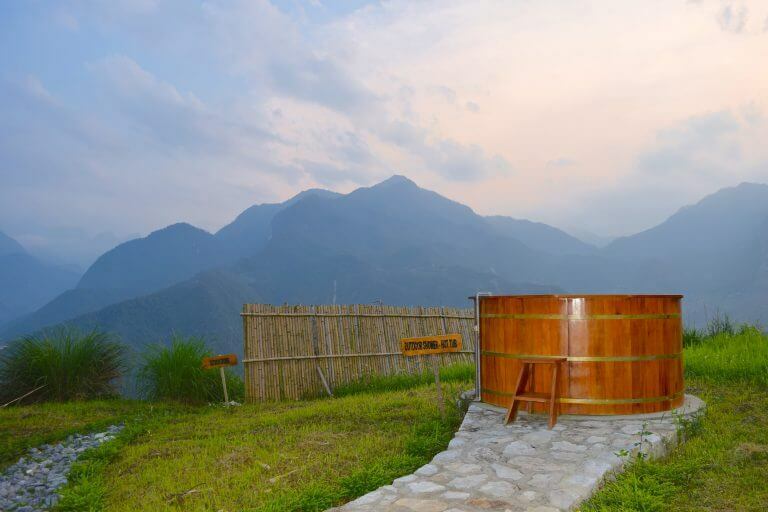 Topas Ecolodge can be found in Northern Vietnam, just 45 minutes (18km) outside of Sapa. 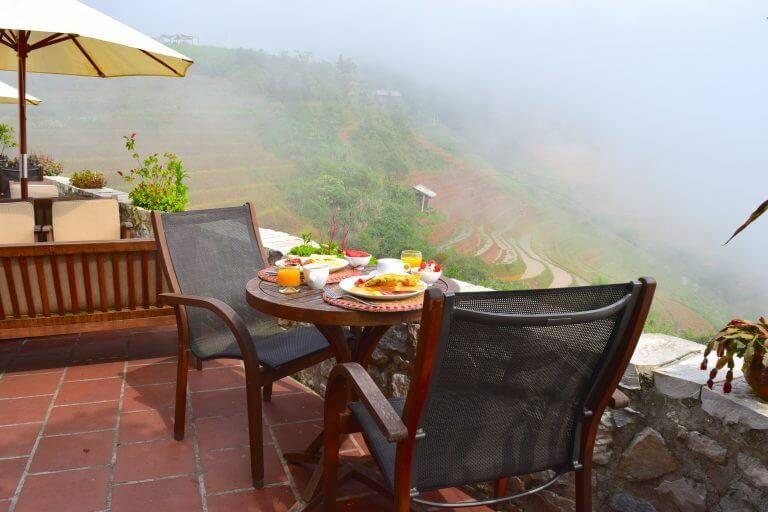 This small and intimate hilltop hotel is situated on the mountains of Hoang Lien National Park. The stunning location means guests get to enjoy breathtaking views of the surrounding area. 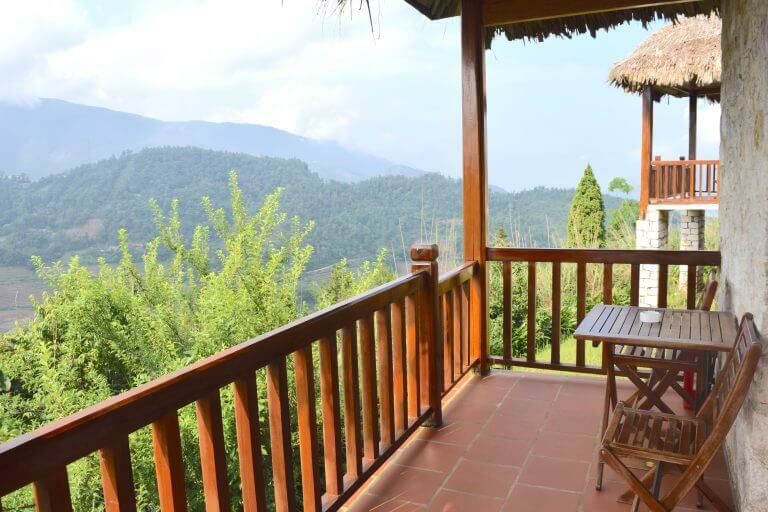 It is the ideal location for anyone wanting to do some hiking in Sapa. 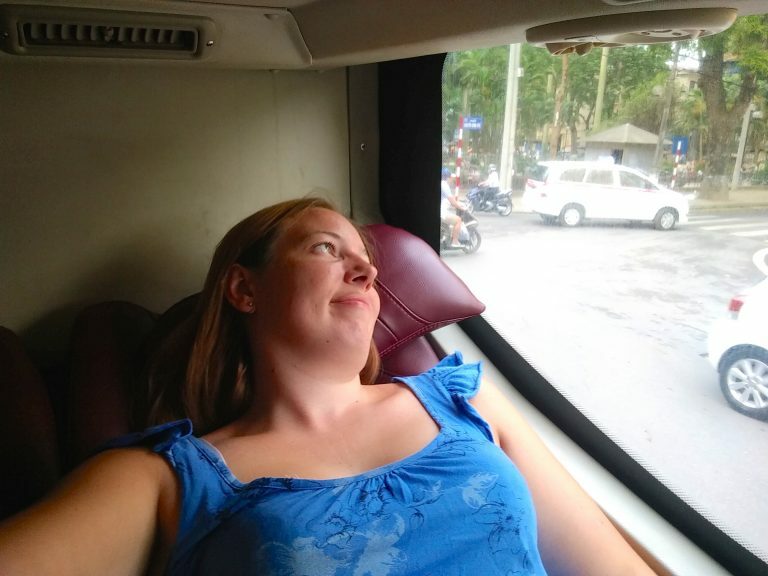 We had been staying in nearby Hanoi and opted to get one of the luxury sleeper buses to Sapa. The bus leaves from Hanoi twice a day. We were originally going to take the night bus leaving at 10pm but as it arrived in the early hours of the morning we didn’t want to be stuck hanging around waiting to be able to check in. Instead, we went for the bus leaving at 7am which arrived midday. 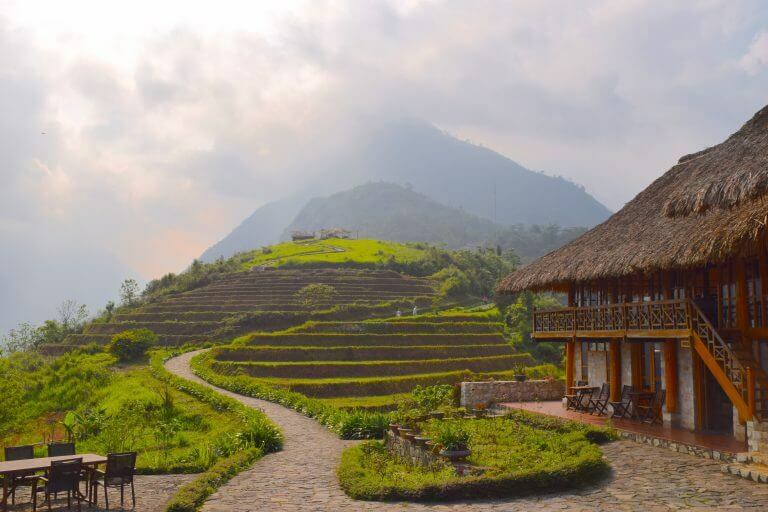 Once we had made it to Sapa we simply had to find the office where we would get a private shuttle bus to Topas Ecolodge. 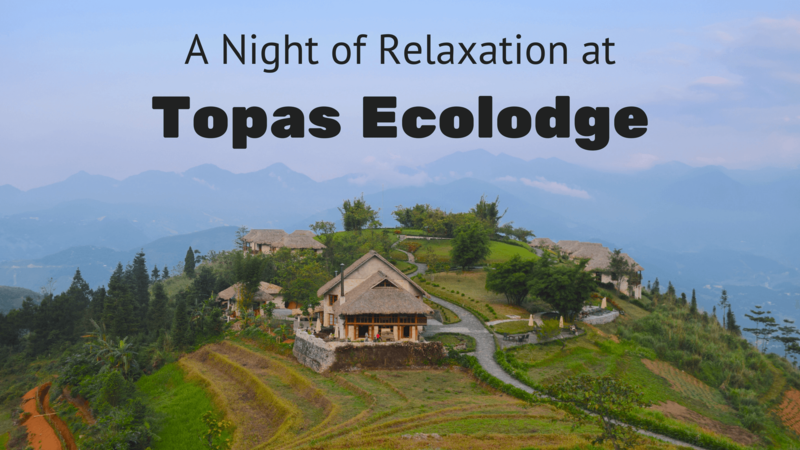 The shuttle bus is needed as Topas Ecolodge is not in Sapa but tucked away in the mountains giving it the perfect fairytale setting. Upon arrival we made our way to reception to collect our key and they very kindly took our bags from us so we wouldn’t have to carry them to the bungalow ourselves. The drive up the mountain had made us very excited to see what our accommodation was like. There was a slight walk to our bungalow (so we were grateful not to have the bags!) but this just gave us a chance to take in the first views of our new home for the next two days. Topas Ecolodge has 33 stylish chalet style bungalows so guests have their own space when staying here. 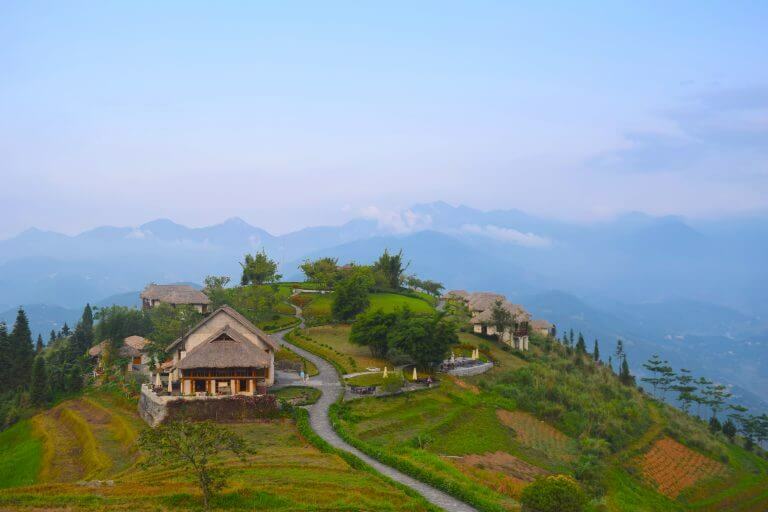 Each bungalow has it’s own spacious balcony overlooking stunning mountain peaks and rice terraces. You truly feel like you’re away from everything here. It would make the perfect couples getaway which is why I’m keen to go back one day. 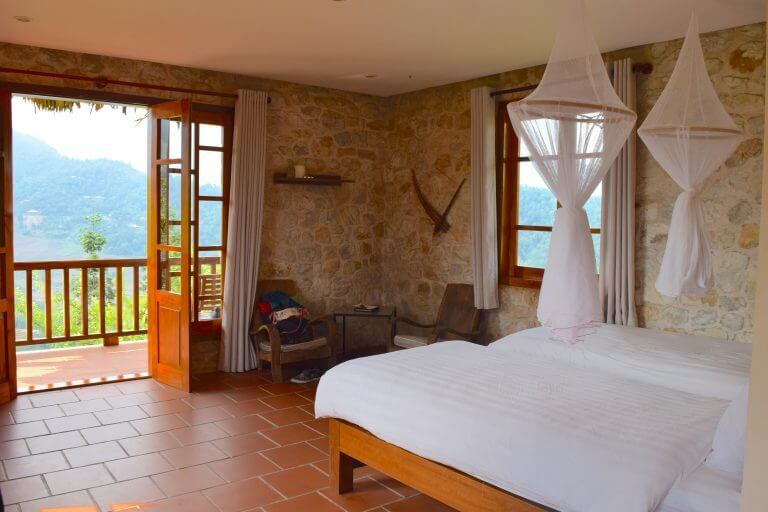 Topas Ecolodge offers 3 types of bungalows; Executive, Premium Executive and Suite Bungalow. Janet and myself stayed in one of the executive bungalows. Another reason for me to go back would be to try either one of their Premium Executive Bungalows or perhaps even the Suite Bungalow. Stepping in to our Executive Bungalow we were instantly overwhelmed by how stunning the design was. The place had a rustic charm to it I instantly fell in love with. The bungalows have been designed to offer an escape so they offer no distractions for guests. Instead of having a television and wifi connection, guests can sit on their own spacious balcony and take a moment to enjoy the beautiful surroundings. Before you panic, there is wifi available in the main building! If you want to add to the relaxation why not book an appointment at the spa. 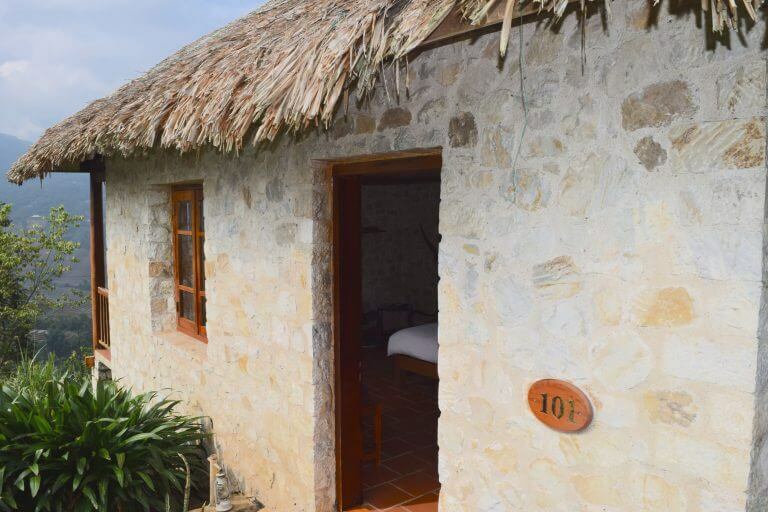 Topas Ecolodge offers foot massages, face treatments, head treatments, body massages and even herbal baths. 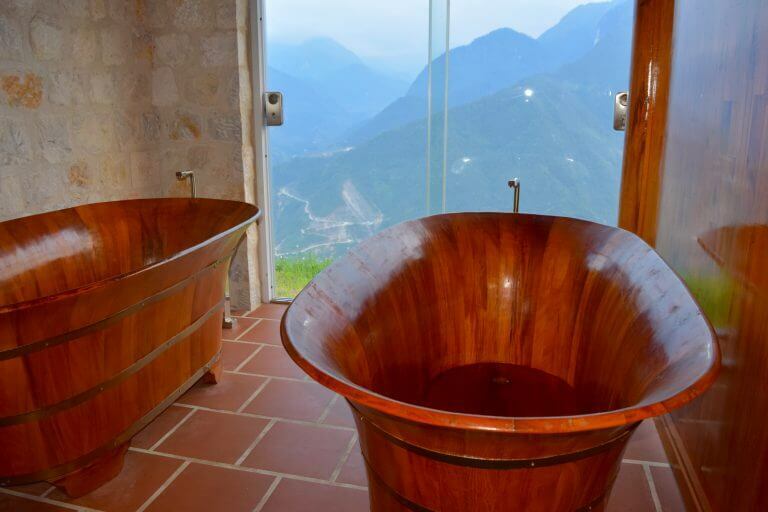 Can you ask for anything better than unwinding in a sensual herbal bath while looking out at your stunning mountain surroundings? We had great fun sitting outside in small wooden ‘pool’ they had during our visit. It was great relaxing in water enjoying the beautiful views. Since we were there they now have an infinity pool and looking at the pictures on their website it looks gorgeous! Another reason for me to come back to this amazing resort! There is a restaurant at Topas Ecolodge in the main building if you don’t feel like taking the bus into town. When you’re at this almost exclusive resort it would be a shame not to have dinner there. We enjoyed a delicious meal and then headed downstairs to the lounge for some wifi. We are bloggers after all! Our room (well bungalow) also included a complimentary breakfast which we got to enjoy on the beautiful terrace. What I love about this place is how many opportunities you have to really take in your beautiful surroundings. It truly is a magical place. 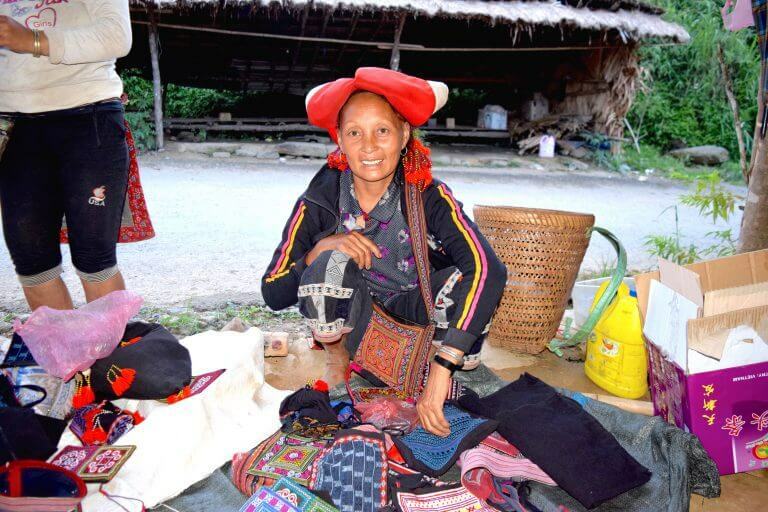 One of the main attractions of Sapa is getting the chance to hike the rice terraces with the locals. Staying at the Topas Ecolodge gives you the perfect location for this. While taking a look at our surroundings we came across some local women who were more than happy to show us around. Listening to their stories I was overwhelmed by what I was hearing. They had very little in life yet were so happy. It truly made me realise how lucky I am. They showed us a selection of beautiful handmade items and I couldn’t resist buying a handbag from them. As you can see I absolutely loved my stay at Topas Ecolodge. 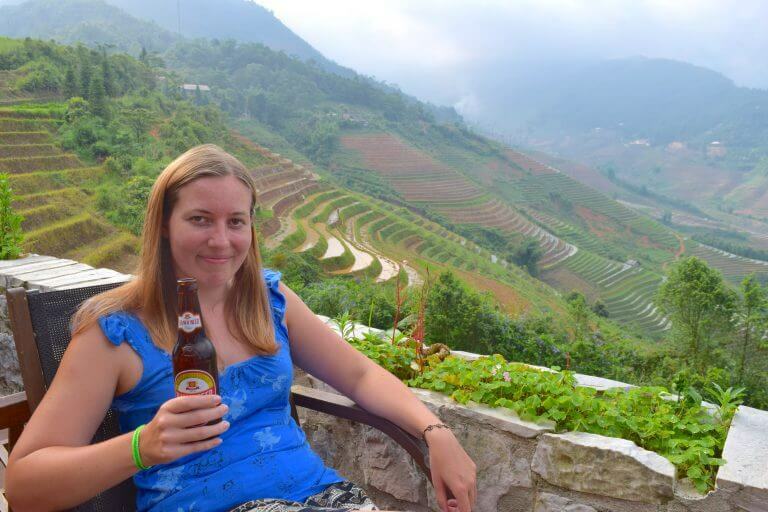 It’s a wonderful place to stay in Sapa and I can’t wait to return with a partner one day. The views are amazing and trust me when I say the pictures really don’t do the place justice! If you’re worried about being too far outside Sapa by staying here you can do what we did and spent 1 or 2 nights here and then 1 or 2 nights in Sapa. 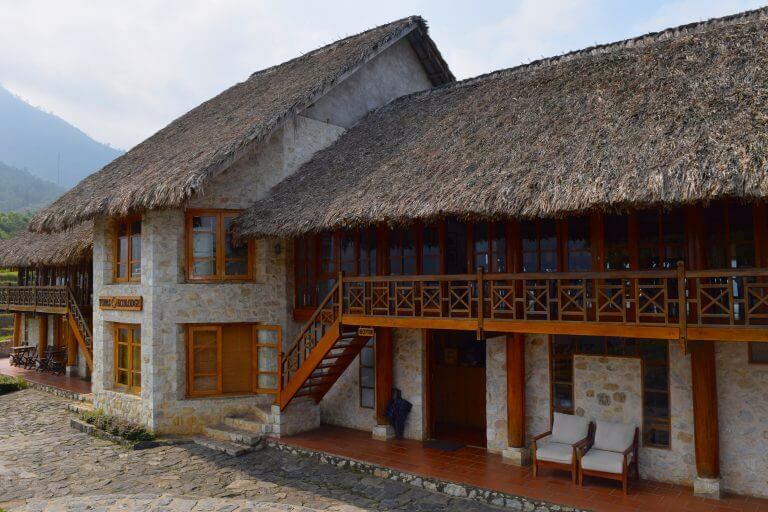 What do you think about Topas Ecolodge? Would you want to stay here? Comment below! 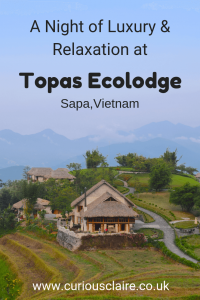 Please note that while I was working with Topas Ecolodge, the reviews and experiences written about in this post are 100% genuine. I value you guys too much to lie to you. This blog would be nothing without you and your continued support!